If you are thinking of buying a classic car then you should contact one of the HCHG Members before you actually part with your hard earned capital. 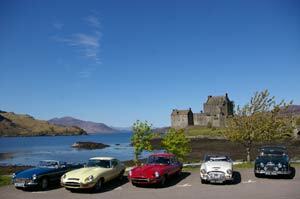 To decide which Member to talk to, go to the on-site database of Classic Cars for Hire which is sorted in Make order. This can be re-sorted in a different order by clicking on one of the other headings. When you find the classic car that interests you, contact the nearest Member who offers that type of car for hire. All our Members offer classic cars in excellent condition, fully serviced and properly maintained. They know what to look for when buying a classic car, know the likely problems with each model and are happy to provide advice to anyone thinking of buying a given classc car model. Another source of excellent advice on buying classic cars are the many and various classic car clubs that support the various classic car marques or even individual models. See our Classic Car Club Directory section for details of clubs related to the models that our HCHG members offer you for hire.